PUBLIC ANNOUNCEMENT – April 9, 2018. Unfortunately, this contract restricts BWS from producing or purchasing potable water from any other third-party entity. 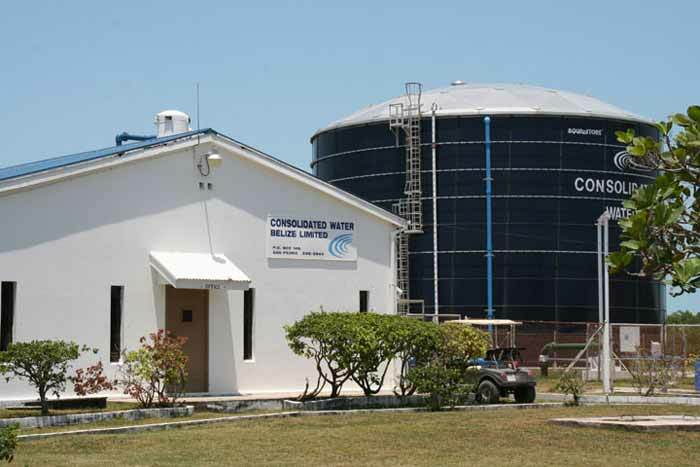 Over the last few years, the CWBL plant has been unable to supply the quantity of water necessary to meet the demand during extended peak periods, as experienced over the recent Easter holidays, despite BWS implementing a rigorous programme to manage the water storage. BWS has been in negotiations with CWBL to find ways to resolve this dire situation as quickly as possible. BWS is committed to taking all necessary measures to ensure adequate water supply to this very critical location as soon as possible. Belize Water Services informs customers in San Pedro that they are experiencing lower than normal pressure in the water supply for the remainder of today, Monday, April 9, 2018. The entire San Pedro Water Distribution System is affected. This low pressure is the result of ongoing works at the Pumping Station. Customers may experience discoloration when water is restored. “I have to be filling buckets, bins, and other containers for backup,” said a concerned DFC resident. “Even when there is water, the pressure is very low. I hope that this issue gets solved as soon as possible.” Business owners are concerned with the ongoing water shortage affecting their business. “This not only affects the residents of the island but also our tourism industry. Tourists come from a long day out on the sea and they want to take a bath and there is no water. That doesn’t look good for businesses. With Ambergris Caye being one of the most touristic areas of Belize, we should not be having this kind of issue,” said one frustrated hotelier. Belize Water Services informs customers in San Pedro that they are experiencing lower than normal pressure in the water supply for the remainder of today, Saturday, April 14, 2018. The entire San Pedro Water Distribution System is affected. This is so unfortunate. I very much enjoy visiting San Pedro but not having water after flying all that way, especially in the tropics, would be a bit hard to bear. same thing today.... Belize Water Services informs customers in San Pedro that they are experiencing lower than normal pressure in the water supply for the remainder of today, Sunday, April 15, 2018. The entire San Pedro Water Distribution System is affected.